Where Do Blackheads Come From? A blackhead, also known as an open comedo in medical terms, is described as a “non-inflamed” acne mark that is dark brown to black in color at the surface of the pore. Though commonly thought to be dirt that can be washed away, which it can’t be, it is actually a combination of sebum (excess oil), acne-causing bacteria, and dead skin cells (cellular buildup) that oxidize (become dark in color) when it comes in contact with oxygen (the air). Blackheads are described as the first stage of acne formation and if left untreated, cannot only spread, but also form into pimples, also known as papules or pustules. Typically, blackheads and acne form during puberty when hormones rise and surface through to the skin. This in turns triggers the sebaceous glands to produce more oil, known as sebum, causing the excess oil surface to the skin, making the skin oily, and clogging the pores with sebum and acne-causing bacteria. The pores become black or dark in color once the “junk” clogging the pores is exposed to air. 1. Cleanse your skin twice daily, morning and night, with a gentle cleanser. 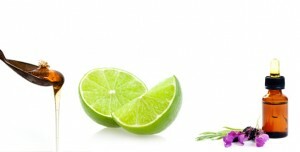 Doing so will remove oil buildup, residue, and acne-causing bacteria that would generally cause acne if left unwashed. 2. Exfoliate your skin at least 3 times a week to remove dead skin cells (cellular buildup) that would normally be a contributor to the clogging of the pores. Removing dead skin cells allows pores to be removed of dead skin, oil, and acne-causing bacteria. Once the skin is gently exfoliated, new and rejuvenated skin can surface, minimizing blackheads, oily skin, and the formation of acne. 3. Try a topical treatment, either over-the-counter or prescribed by your dermatologist. Topical treatments of either salicylic acid cream or a benzoyl peroxide gel will fight blackheads from the root of the pores. Apply the topical treatment after cleansing and moisturizing your skin. Proactiv has a three-step skincare system that has both ingredients in their products. There are mixed reviews on it, but some have had much success. 4. Moisturize after cleansing – always! It’s vital to do this. Use an oil-free moisturizer and your skin will not be more greasy, become more oily, clog your pores, or cause you more acne. If you don’t moisturize, you will actually break out more and be more oily because your skin pulls more oil to the surface of your skin, trying to balance out the pH levels in your skin, thus clogging your pores with oil and acne-causing bacteria. 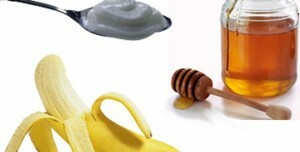 Pure Raw Honey and Egg Whites – Combine the two ingredients together and apply to your clean face as a face mask. The combo will gently pull impurities out of your pores, lessening blackheads. Leave on your skin for 20 minutes then rinse off with warm water and a gentle cleanser. Apply an oil-free moisturizer to retain hydration. Steam, Cleanse, Apply Honey, and Peel – Put a towel over your head and face your head down looking into a pot of hot water (but close your eyes!). Allow the steam to open your pores for a few minutes then cleanse your skin to remove residue, acne-causing bacteria, and oil from the skin. Then apply a pure raw honey mask to your face and leave it on for 30 minutes, or until it’s completely dry. Once dry, gently peel the mask off your face and rinse off with warm water. 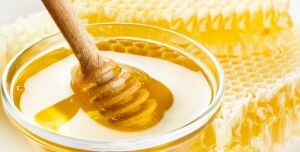 Your pores will be clear and the honey will fight acne infections due to its antibacterial and antimicrobial properties. Then apply an oil-free moisturizer. Grated Raw Organic Potato – Grate one raw organic potato and rub it on your clean damp face for 15 minutes in a circular motion, paying special attention to the areas blackheads form, like the cheeks, nose, and chin. Allow to dry for about 15 minutes then rinse off with warm water. Apply an oil-free moisturizer to add moisture and balance pH levels in the skin. Remember! Over-washing your face will not remove blackheads more quickly. 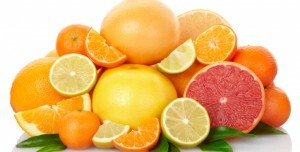 If anything, it will cause your skin more irritation and breakouts. Do not ever wash your face more than 3 times daily, though twice daily is recommended, or you will be stripping your skin of needed oils that benefit your skin. It’s also important to eat a healthy, nutritious diet filled with lots of fruit and vegetables, drink plenty of water to remove toxins from your system, and exercise! Sweating out toxins by working out opens your pores, allowing the buildup in your pores to be released. Does masterbation cause break outs? I love to read posts regarding beauty tips.I always like this kind of post, because i am also suffering with this type of problem. I will definitely try this “Steam, Cleanse, Apply Honey, and Peel”. Hi… How do I get rid of my pimples and maintain my complexion?